Build Spokane: Your resource for building and buying a new home in the greater Spokane area. Build Spokane is an opportunity to showcase new construction opportunities in the greater Spokane area. 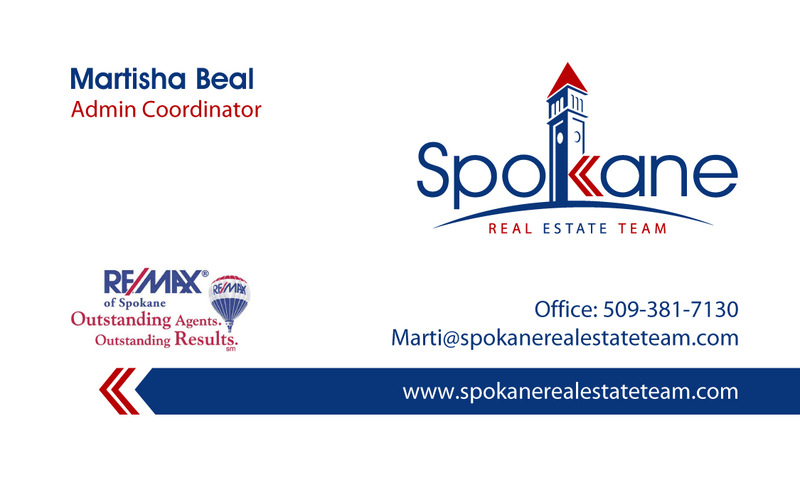 I am a Certified New Home Sales Professional (CSP) and have built a business on selling new homes in Spokane. You will find topics that range from buying and building new homes to financing and selecting a builder. Take a look...if you have any topics you'd like to see let me know! 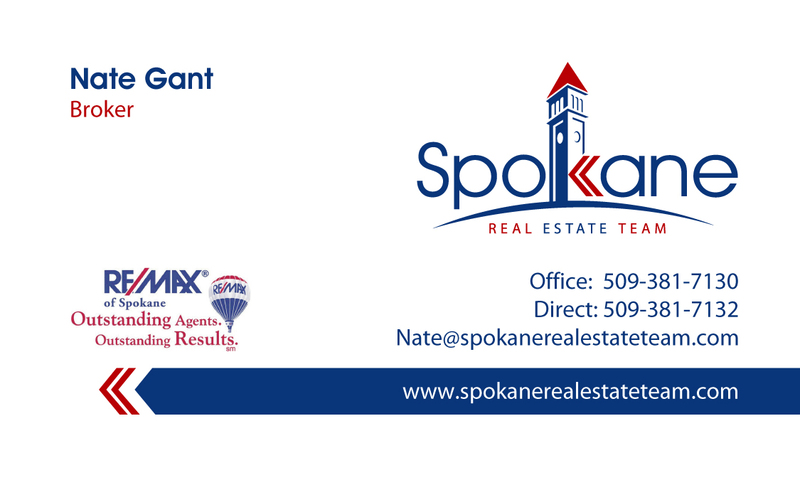 Check out these great new designs for the Spokane Real Estate Team business cards! 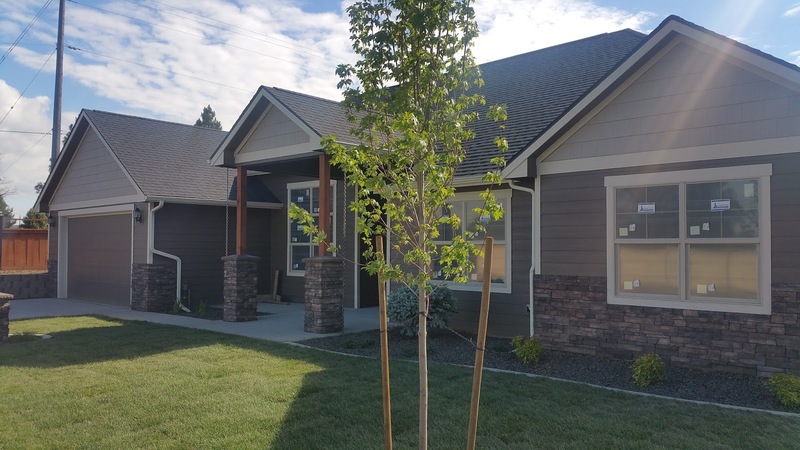 If you have time this weekend go up to The Estates at Rocky Ridge on Five Mile Prairie and check out one of Spokane's finest builders, Brumback Homes. They are featuring The Ridgeview an 1800 sqft ranch style home with 3 bedrooms 2 bathrooms and a large 3 car tandem garage. The home has Zero Steps and is great for those thinking about downsizing into a single level rancher. Rocky Ridge is a new home development featuring bluff lots with westerly views of Riverside State Park and beyond. There is also a community park and it sits on a dead end road with very little traffic. New Homes start in the $250's and Brumback Homes will build to suit. Stop by and take a look at the current inventory and reserve your new lot today! How Do I Develop My Property? How many lots can I fit? You are sitting on 5 acres and you are considering what development opportunities you might have...let us help you get started! Do you want to develop the land yourself and sell lots directly? Do you wish to partner with a developer on a pay per lot basis? There are different ways to approach a development and most of the time your capital will determine which direction you go. - How many lots can I fit? Some developers will work to capitalize on every lot possible and the end result is smaller lots and more density. Other developers choose to include trails, parks, larger lot sizes, and more flexibility. Depending on market conditions, surrounding competition, and supply/demand you will have to make that call. Smaller lots will be less expensive and should sell quicker based on price point. Larger lots will be more expensive and could take longer to sell. Some buyers will want 3 car garages and others will be okay with a 2 car garage. - Should I have CCRS in place? Many homeowners have a sour taste for CCR's and home owners associations. As a developer you want to maintain a certain integrity and in order to enforce the rules, you will need to develop CCR's and an HOA. When you have half of a neighborhood full and one of the home owners decides to park a car in the street for 3 months, you will need rules that allow you to clean that up. - Are there water and sewer connections available? In order to put in lots you will need to provide power, sewer and water. These utilities cost money to tap into and sometimes you will need to pay to bring them in. The capacity of the current lines will need to be adequate for your new development. You might also have to pay impact fees for each lot/house that is built and you will want to check on that. Developing is a full time job for many. If you are thinking about doing it part time, ask a professional for advice. There is great opportunity in developing real estate and there is also great risk. Make sure you have all of the information before you begin. If you have property and you want information on whether you can develop it or not, call us today! Stop by Canyon Bluffs this Sunday and get your free picture taken with Santa Claus! Enjoy hot chocolate, apple cider, and coffee and tour some beautiful new homes! Viking Builders is proud to announce their arrival at Canyon Bluffs in Spokane. Their model home won the People's Choice award for the 2013 Fall Festival of Homes and has incredible views of downtown Spokane! 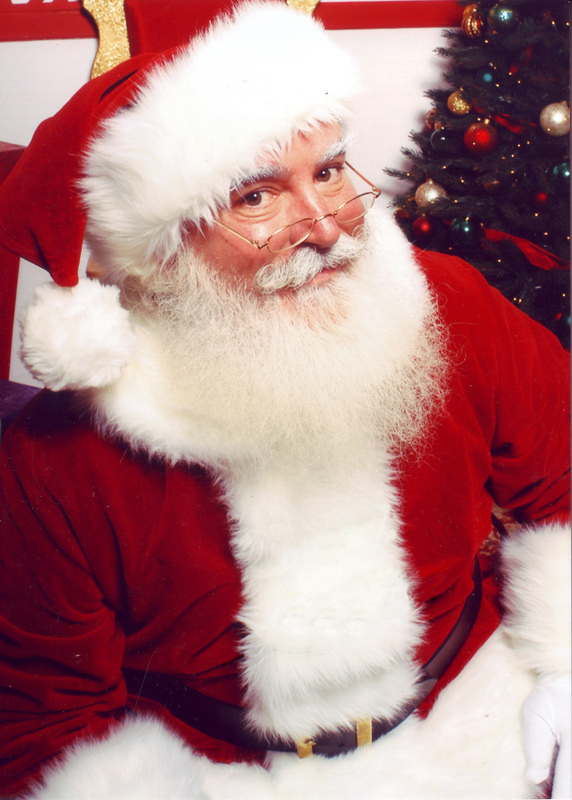 Santa Claus will be available for photos December 15th between 12p and 4p so don't miss out! To get to Canyon Bluffs take Hwy 195 South to Thorpe Rd. (2nd Right Turn), Right on Westwood and a Right on S Canyon Woods Lane. If you haven't heard of Sandy Ridge now is the time to visit! 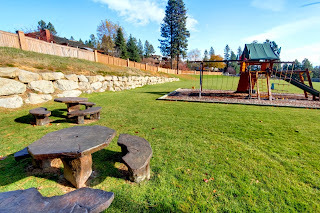 Sandy Ridge is a gated community in Spokane just below the well known Northwood Subdivision. With panoramic views from Liberty Lake to Spokane Valley, you won't be disappointed. 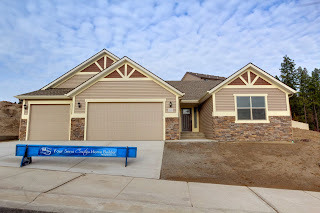 New Homes are built by Viking Builders and prices start in the $220's. Ranchers can be built with daylight basements, bonus rooms over the garage, as well as on 1 level. 2 Story floor plans are also available. 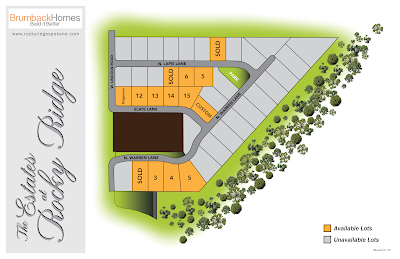 With 40 lots to build on we are sure to find a lot and floor plan to fit your needs. To go with the view, Sandy Ridge also has a 1 acre park for residents to enjoy. The park has a large playground with swings, play set, monkey bars, and slide. Enjoy the picnic tables with seats perfect for having a family BBQ or just spending the day at the park. There is also a ball field to take advantage of! This is Spokane's hidden secret! Come see for yourself...the views are unbeatable. 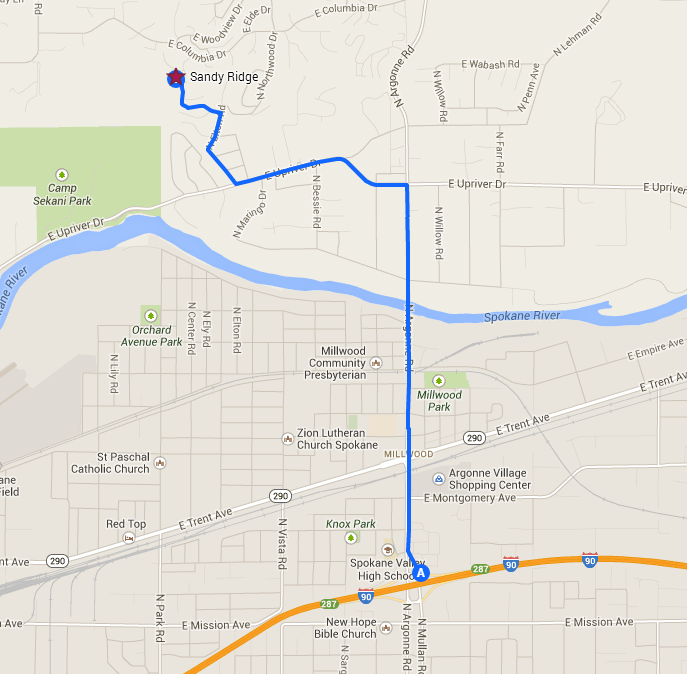 Only 20 minutes to Downtown Spokane and 15 minutes to Liberty Lake. The Camber at Sandy Ridge is a 1652 sqft Rancher by Viking Construction. This home has 3 bedrooms 2 bathrooms and a large great room living area with cathedral ceilings. The kitchen is open to the living area with a large island, informal eating area and convenient pantry with shelves. Granite countertops and stainless gas appliances are just a few of the standard features. The master suite is separate from the other 2 bedrooms and has a large walk in closet separate from the full master bathroom with linen closet, double vanities, and step in shower next to the garden tub. You must see this one! The 3 car garage has enough room for the cars and a few toys. Selling your home in this market should not be torture. Hire an agent with the right marketing plan and someone who will work to get the home sold. The market is evolving and if you haven't sold your home in a while things have changed. Everything is online. The internet has changed everything and if you don't believe me...how did you find this blog post online? Websites like Zillow and Realtor.com have changed the way agents advertise and have worked around the traditional flyer box and open house approach. Don't get me wrong, there is a place for flyers & open houses and if you can utilize the internet, you'll find better ways of spending your time. It used to be that the listing hit's the newspaper and other agents see it...call their clients and the inside track was the one that got the deal done. You had to be in the know. You had to work the phones and drive around showing houses. Clients called your phone when the signs were in the front yard and you might get floor calls throughout the day as people had questions. Now people have pictures, websites, county information, maps, etc. The IDX agreement allows agents to market other listings on their websites and publications. It gives larger website the ability to pay for feeds and then turn around and charge agents to market their own listings. If they don't pay guess who gets the leads...the other agents who do pay. Find out where your agent spends their money to market your home. Is it in the same places that you use to search for homes? Have they defined a market and the approach to go after that market? Do you have good pictures to show the home? Is your agent receiving the leads on your home? Ask questions. Price it right. Sell it quickly.